In all the Christmas novels and novellas I have written, Christmas is not an accidental setting but is central to the development and outcome of the love story. It could not have happened in the same way at any other time of the year. 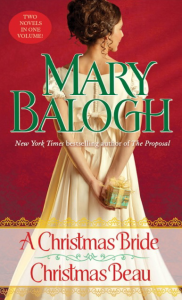 A Christmas Bride is the love story of two characters from other books of mine. Edgar Downes is the very wealthy, middle-class brother of Cora Downes (The Famous Heroine). 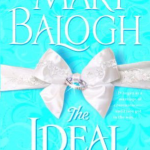 He is in his mid-thirties, and finally it is time to settle down and start a family with a respectable young bride. He goes to London in search of a suitable candidate, vowing that he will be married or at least engaged before Christmas. Helena, Lady Stapleton, is the “wicked stepmother” of Sir Gerald Stapleton (A Precious Jewel). Now a widow in her mid-thirties, she has lived for many years with the guilt of having tried to seduce her young and impressionable stepson. She is cynical and bored and planning seek diversion by spending Christmas with friends in Italy. But when Edgar and Helena meet at an evening party, they somehow end up spending the night together, and both of them find their lives and their plans turned upside down. Christmas Beau is a story of revenge derailed by Christmas. Judith Easton once jilted the Marquess of Denbigh in order to marry another man. It was an unhappy marriage, and she is now a widow with two young children. Denbigh has never forgotten his humiliation—or forgiven. When he meets Judith again, he sets out to seduce her and break her heart. But, poor man, he chooses entirely the wrong time of year in which to do it. He invites Judith and her children to spend Christmas with him and other guests at his country home. Edgar Downes is in London to choose a bride. Although he is a member of the middle class, he has enough contacts among the upper classes, including his sister, who is married to Lord Frances Kneller, that he has been invited to a ton soiree and introduced to several eligible young ladies. However, it is a late arrival, an older lady wearing a daring scarlet gown, who really draws his attention. Lady Helena Stapleton notices him too as she stands on the threshold of the room. Judith Easton has just come out of mourning for her late husband. She has come to London to enjoy Christmas with her two children and is attending her first evening party with a friend, hoping that no one remembers the scandal of eight years ago, when she jilted her betrothed, the Marquess of Denbigh, in order to marry Andrew Easton. But the marquess happens to be in London too—and attending the same party. Judith’s exhilaration continued. Lord and Lady Clancy received her graciously, and Claude took her about their drawing room on his arm until they stopped at a group where she found the conversation particularly interesting. Soon Claude had wandered off, and she felt as thoroughly comfortable as if she had never been away. For perhaps the span of ten minutes, anyway. At the end of that time, the lady standing next to Judith stood back with a smile to admit a new member to the group. Was it possible for one’s stomach to perform a complete somersault? Judith wondered if her thoughts were capable of such coherence. Certainly it was possible for one’s knees to be almost too weak to support one’s person. He had not changed, unless it was possible for him to look even harsher and more morose than he had looked eight years before. He was very tall, a good six inches taller than Andrew had been. He looked thin at first glance, but there was a breadth of chest and of shoulders that suggested fitness and strength. That had not changed with the years either, one glance told her. His face was still narrow, angular, harsh, his lips thin, his eyes a steely gray, the eyelids drooped over them so that they might have looked sleepy had they not looked hawkish instead. His dark hair had the suggestion of gray at the temples. That was new. But he was only—what? Thirty-four? Thirty-five years old? The sight of him and his proximity could still fill her with a quite unreasonable terror and revulsion. Unreasonable because he had never treated her harshly or with anything less than perfectly correct courtesy. But then, there had never been any suggestion of warmth either. She had always wanted to run a million miles whenever he came into a room. She wanted to run now. She wanted to run somewhere where there would be air to draw into her lungs. “Mrs. Easton,” he said in that unexpectedly soft voice she had forgotten until now. And he bowed stiffly to her. “I think not, Nora,” the Marquess of Denbigh had said three evenings before the night of the soiree. He had called to pay his respects to the Clancys between acts at the theater. “They would be well advised to spend their energies on projects more likely to bring them success,” he said, still perusing the other boxes through his glass. “I shall return to my own,” he said, bowing to the occupants of the box. But he did not return to his box. He left the theater and walked home, his carriage not having been directed to return for him until the end of the performance. So she was coming out of hiding at last. She was going to be at Nora’s. Well, then, he would see her there. Eight years was a long time—or seven and a half to be more accurate. He supposed she would have changed. She had been eighteen then, fresh from the schoolroom, fresh from the country, shy, sweet, pretty—he never had been able to find the words to describe her as she had been then. Words made her sound uninteresting, no different from dozens of other young girls making their come-out. Judith Farrington had been different. Or to him she had been different. She would be twenty-six years old now. A woman. A widow. The mother of two young children. And her marriage could not have been a happy one—unless she had not known, of course. But how could a wife not know, even if she spent all of her married life in the country, that her husband lived a life of dissipation and debauchery? She would be different now. She was bound to be. He wanted to see the difference. 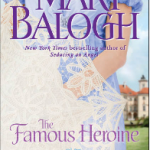 He had waited for it a long time, especially since the death of her husband in a barroom brawl—that was what it had been despite the official story that he had died in a skirmish with thieves. He had waited. And come to London as soon as he knew that she was here. And waited again for her to begin to appear in public. And finally, it seemed, she was to appear at Nora’s soiree. He would be there too. He had a score to settle with Judith Easton. Revenge to take. He had a great deal of leftover hatred to work out of his heart and his soul. He had waited a long time for this.